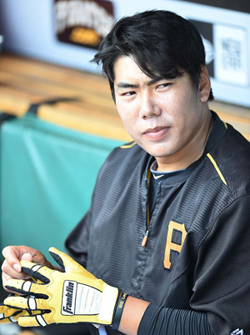 Troubled pitcher Kang Jung-ho, who is currently playing with the Bradenton Marauders in the single A-League under the Pittsburgh Pirates, says he has been teetotal since his third drunk driving conviction. "Obviously, I'm not touching a drop of alcohol moving forward," Kang said Wednesday through interpreter Mark Kim, who now also has to serve as his driver. 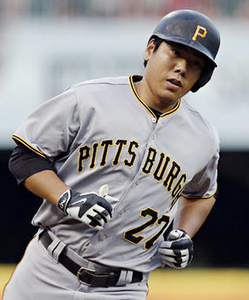 Kang told the Pittsburgh Post-Gazette he made the decision to stop drinking "as soon as I was in that third incident." He claimed he only really drank in the off-season "to kind of let the steam out." Kang hit a guardrail while driving under influence after drinking with friends in Seoul in December 2016 and fled the scene. Because it was his third conviction, Kang was given a two-year suspended sentence by the court in March last year, which led to his application for a work visa in the U.S. being rejected so he had to sit out the whole of the 2017 season. Thanks to the efforts of his team, Kang was finally granted a visa in April this year.